CBD BLACK FRIDAY SALE | The New Gold Rush is the GREEN RUSH! It’s here! The biggest CBD Black Friday Sale ever!!! The craziest shopping day of the year! Well that explains why everything is so cheap, LOL. Maybe? Try the CBD combination kits from Isodiol. This is a great way to try out different products at an unbelievable discount! they are also affordable as gifts for your loved ones. What’s a better way to say Happy Holidays! Natural Plant Based products that you can be sure you are getting from the worlds leading hemp CBD extractor and innovator! The Isodiol Family of Companies! An additional 25% off all the already discounted Kits. 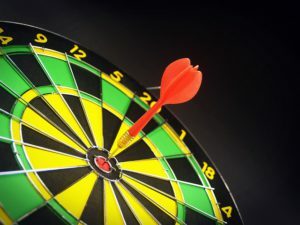 click the bullseye for the Black Friday Deal! These special Thanksgiving kits deliver exclusive bundle deals on our best-selling products – from our most popular brands! Plus get free shipping on ALL orders $199 and over! * Sale and shipping offer good through Sunday, 11/25/2018; ground shipping only. HERE’S SOME OF THE BUNDLES! 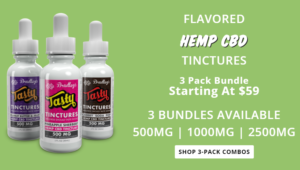 Try an assortment of Tasty Tinctures by Bradley’s Brand designed to deliver the powerful benefits of CBD. Featuring the one-of-a-kind flavors of cherry soda pop, pineapple sherbert, and peanut butter & jelly in your choice of strength, this variety pack will surely enhance your CBD experience! 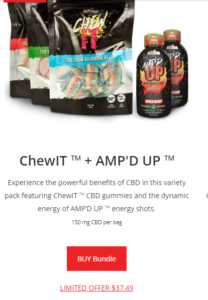 Experience the powerful benefits of CBD in this variety pack featuring ChewIT TM CBD gummies and the dynamic energy of AMP’D UP TM energy shots. Read my story on how CBD changed my life by clicking on this line! Get an email notice when a new article is written by completing the Feedburner form in the sidebar! Support Hemp based products! For now we can only import Blends but things are changing! Try em out! They are much softer and cooler! 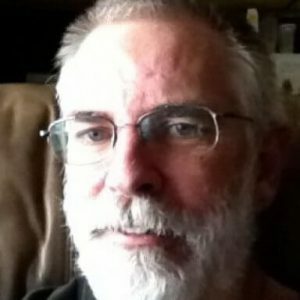 Yes I am an Amazon Affiliate LOL. This is the BEST CBD Black Friday Sale and it’s being brought to you by the worlds leading Hemp Oil Extractor and Innovator! Thanks so much for explaining about the Black Friday sale. I love the sound of the gummies, defo will be looking into getting some of them!